SoapGoods is pleased to introduce Monoi Butter for personal care applications. Monoi Butter is a soft, velvety butter containing the essence of the tropical Tiare flower, famous for its aromatherapy action. The Tiare flower is well known in Polynesia for its exotic tropical essence and use in skin and hair care; this has combined that essence into an exclusive exotic butter blend which goes on smooth and retains the Tiare essence on the skin. The melting point of this butter is nominally 42 C, making it ideal as a butter-like balm. 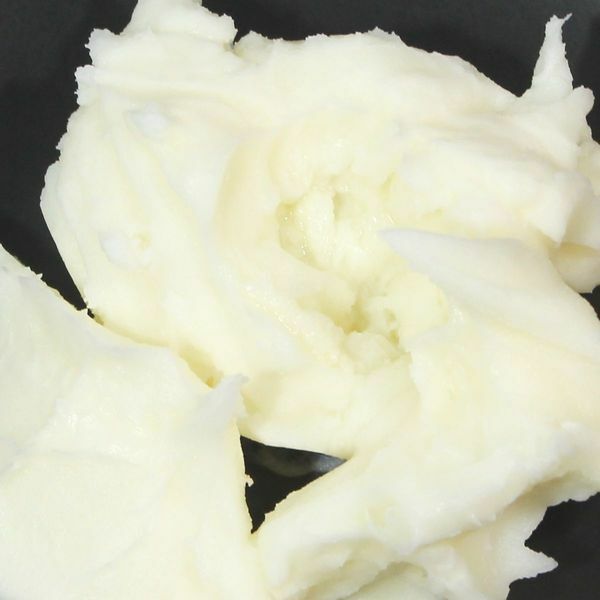 If combined into an emulsion for creams and lotions, Monoi Butter will add moisturizing benefits as well as essential aroma aspects to the finished product. Monoi Butter exhibits excellent spreadability on the skin, making it ideal as a massage butter or carrier for treatment products. It adds moisturizing attributes to creams and lotions and bar soaps. May be used in cosmetics, toiletries, soaps & balms, hair care and sun care preparations.Suggested uses: Use from 3% to 100% pure (as a butter-like balm).